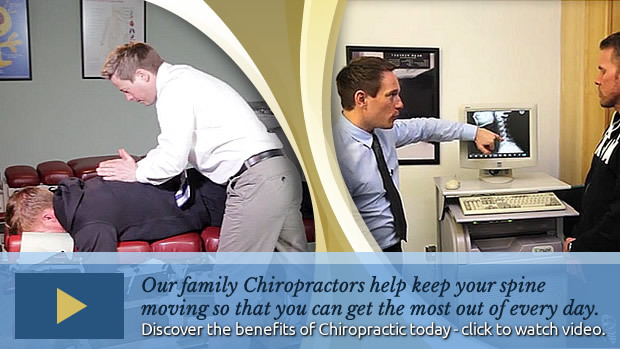 Dr’s James and Jonathan O’Malley (Chiropractors) are brothers with one thing in mind – the health of you and your family! Through different childhood experiences, both experienced the benefits of chiropractic care first-hand and have dedicated themselves to bettering the lives of others through their gentle, effective techniques. The brain and spinal cord communicate with every part of your body through nerves that exit the spine. These nerves are responsible for carrying the messages of healing, regulation, programmed cell destruction of bad cells, hormone regulation… basically every single function and process that occurs in our body. These are sent from our brain down our cord and out through nerves from the spine. Chiropractic is simple. We make sure the bones in the skull, spine, pelvis and extremities are not compromising these nerves so the body can be pain free and healthy. Monkseaton Chiropractic was founded in 2001 and has been serving the Tyne and Wear communities of Whitley Bay, Monkseaton and Tynemouth ever since. We pride ourselves on giving the best possible patient care. From the second you walk through the door you will be greeted by our friendly front desk staff before meeting with our experienced and board certified chiropractic doctors. We also use low dose digital xray allowing us to view the spine in precise detail. This greatly enhances patient results and separates us from other clinics in the region. Health and wellness articles published by Monkseaton Chiropractic: Chiropractor serving the Tyne and Wear communities of Whitley Bay, Monkseaton and Tynemouth.